I used to like the app and subscribed for 2 years, but the latest version, which the app will force you to update, is terrible. I could not even open the app anymore. I hope the issues I subscribed in the past two years will still be able to download after the fix of the app. Otherwise, I'll just be very piss off all the money I spent. The new app won’t let me sign in nor is any of my purchased content available. When will this be fixed? I wrote an email to tech support to no avail and with no response. Really unacceptable, I paid for that content. I love the magazine and have subscribed for the last two years.I am somewhat frustrated with the app it never allows me in straight away.It takes like 10mins of figuring out how to get my purchased monthly magazine up.....can we make it a little easier or at least give some guidelines.? Thank You. Unable to download new issues. Will crash when attempting to download. Since I can't subscribe to the magazine in the States, this is the next best thing, and less than half the newsstand price without the ads! Great content, wonderful recipes! A keeper. 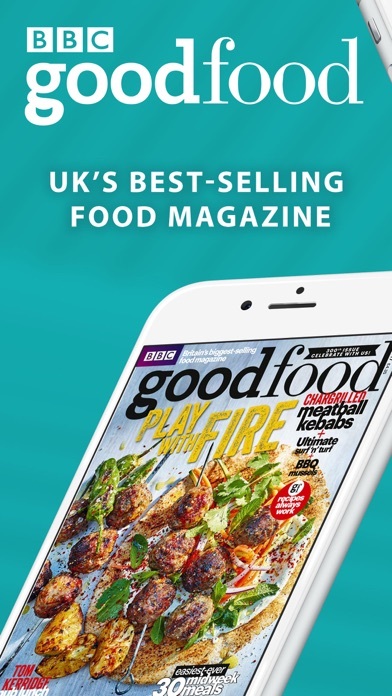 I have loved this mag for years and think that the iPad app is brilliant,the recipes are so good and always seem to work for me,love it. Love the app...Love the recipes!!! Having a printed subscription is still the way to go. There is a serious downside to the app. There is no way to print directly from the app. There is no way to backup the issues you access to your computer. If you change iPad or upgrade your iPad you need to download all the issues again. That is assuming you can download them again. Downloads are extremely slow. You must tell it to download each issue because there is no download queue. What is the sense of the "restore previous purchased issues" when it will not and can not do that? They do not understand "Restore Previous Purchases". There are missing issues. Most of the embedded videos are broken. This new version does not have the same functionality that the previous version had. This is a cookbook and not a magazine. This is not what I purchase back in 2011, 2012 and 2013. There is no customer support. Makes an excellent use of iPad screen size and very smartly designed app. Im downloading it just now?! I subscribe to several food magazines and love to cook, this is the best I have seen in a while. Faith b. Great app and excellent recipes. Looks great and works great...!!! 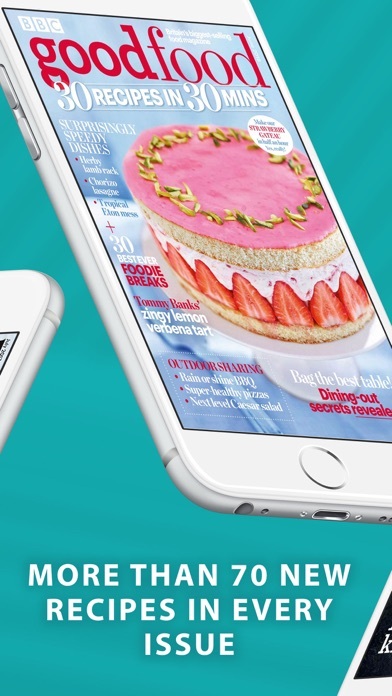 My favorite food magazine as a brilliantly designed app. Yay! 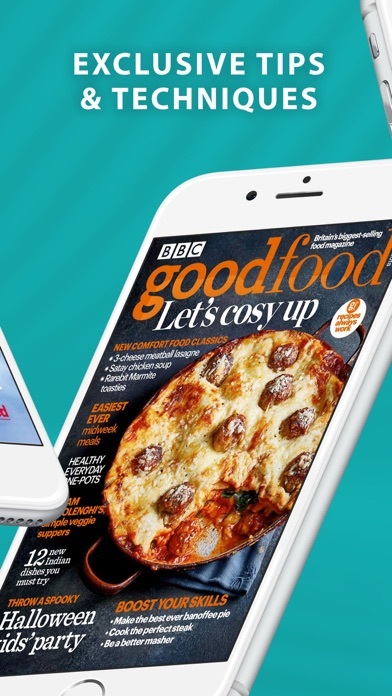 For two years, I have loved using the BBC good food electronic subscription. This week, they've ruined it. I used to be able to search by keyword like "salmon" or "barley" and get all the recipes using that ingredient. There is no search capability. I also used to have categories for bookmarks so I would bookmark all the recipes I liked and then move them in and out of a category called "this week", quickly finding the 3 or 4 I intended to cook in the near future. Gave the app an extra star because the new look and iPhone support are ok.
Maybe the APP is free, but if you want to see inside the Magazine, it'll cost 'ya. This is my favorite magazine and I would have given you five stars but the March 2011 copy will not open. Other than that I like buying them as they are now. Great little cooking magazine. I'm in the USA and don't see the mag here in the bookstores, I'm happy I can get it on my iPad!! Is great!!!!!! Love the app and love the magazine. Despite my subscription and having the latest version of this app and iOS, the latest issues of the magazine are not available within the app. Customer service merely states that they should appear, but cannot help me beyond that. The content is good. I do still access to my back issues, but I PAID for the next year. Very disappointing. I have had multiple issues when I purchase my subscription through iTunes. After the last time - when apple couldn't figure out how to fix it I finally got a refund and now subscribe through the magazine directly. Haven't had a single issue since. One of the best cooking magazines out there! I've bought it at full cover price on the newsstand for years. Just something about the way they presented all. I love Good Food magazine. It gives you everything you need in the app. I don't even have this app and it keeps telling me to update it. The latest update is painful. Instead of being able to download the whole issue to read through, I now have to wait for each page to slowly load as I flip through. This is not an enjoyable reading experience! I also lost my saved articles from previous issues. If this does not get changed I will discontinue my subscription. Recipes are easy to complete and results are consistent. Will continue to review and prepare some really good products. I love this app. Beautifully organized, fun to use and great recipes. I love the recipes, however the APP was confusing for me I need to slow down and read better I think. All the pictures are beautiful and I have fun trying to make my food look like the pictures. Thank you for the great book. Was so glad when app came out. I have magazine subscription but comes end of month, with app can down load long before magazine arrives. I think the magazine app is great. I have made several recipes out of the magazines and really enjoy the ability to have UK recipes so easily at my finger tips. I have been a magazine subscriber for over 10 years and fast running out of shelf space. Now I don't have to worry anymore with this app. I have been pleasantly surprised. I haven't read this magazine before. The content is well presented and the interactive features are well done. Really well done! 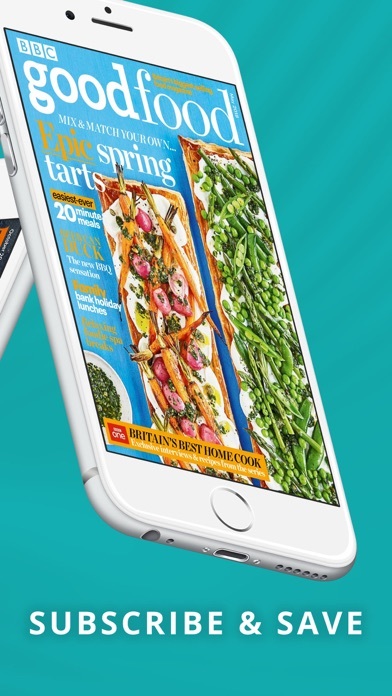 More than a digital rendering of the magazine, the Good Food app makes good use of technology. Love the way pictures and related recipes are bundled, allowing the pictures to really pop. Paid for current issue and after 10 tries at opening it, gave up. Continuously crashes. Cover art appears and then the app spontaneously closes. I can only download past issues one page at a time, and, if that wasn't bad enough, each page take 30 seconds to load. There is no way to download the whole issue and read without internet access. Great magazine! Plenty of good and easy recipes with easy to follow instructions and ingredients that are not difficult to track down even here in South Africa! Digital copy much cheaper for me than the print copy which I have been buying for the past 4 or so years. Thanks for making this available. They continue to make the app more and more useless. This time youncan not download a qhole issue bit one page at a time and the "favorites" star has disappeared completely. Avoid this until they fix everything if they ever do. This is one of the best magazine apps I've found. It loads a little slow but the wait is worth it. The photos are beautiful, the recipes easy and delicious, and all the functionality works as advertised. It's a really great app. Thank you! Was forced to upgrade version, and now have no access to mags. Looks like not validating iTunes account, and wants me to log in. Called app developer...they say call apple. (They also don't respond to emails) new version looks horrible anyway, and a step backwards. Would rather get a refund if someone would talk to me! I purchased one issue, and thank goodness it was just one. I am beyond frustrated and annoyed that it has taken hours to download this issue. It took so long, I fell asleep and continued the download the next day. Painfully one by one... and each and every page takes at least two to three minutes to load. Never again! EVER!